Rohen engineers custom fire safety plans and solutions for Greater Toronto Area buildings, including hospitals, schools, nursing homes, hotels, apartment complexes and industrial facilities. Only an estimated 1 in 10 commercial properties have a fire safety plan that is both up-to-date and currently viable. Fire codes and fire safety technologies are constantly evolving. Meanwhile, your building may be a "historic architectural gem." The gap between "best available" fire safety features and the fire safety of your building may be an abyss. We conduct safety audits to inspect your current fire safety system and 1) suggest areas for improvement; 2) identify deficiencies; and 3) best meet safety standards and compliance under all applicable codes. Custom-designed fire safety plans, created with consideration of multiple bodies of code. 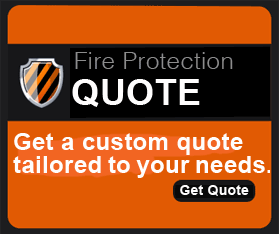 Comprehensive audits of your buildings and existing fire safety measures. We'll help you find your most cost-effective path to compliance. 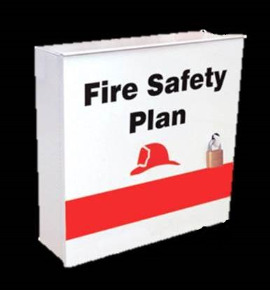 We design fire safety plans that get approved by the governing jurisdictional bodies. We'll clearly outline your options and the necessary steps, and lead the way through their implementation. We can provide training and education to your staff. We'll lay out the mandatory ongoing maintenance required by code, with an option to have Rohen's professional, certified staff provide servicing. Reduced exposure to non-compliance fees and penalties. Increased safety for property and personnel. Read more about fire safety plans on our blog here.